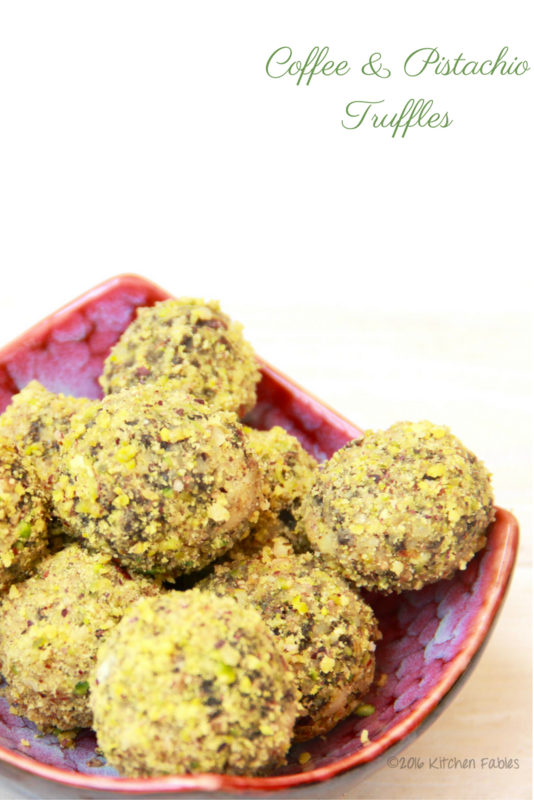 Almost everyone, loves Chocolate Truffles and they are so easy to make! 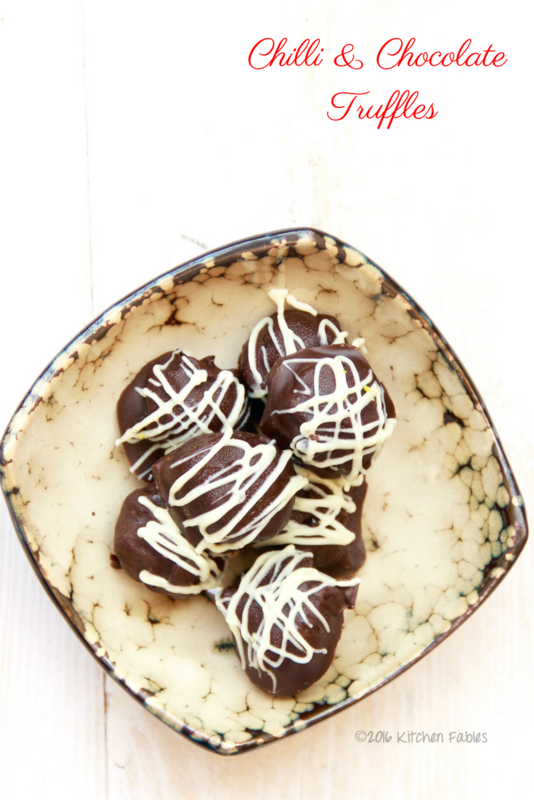 Since, Christmas season is nearing , liqueur laced truffles will be just what you need to gift and keep at home. 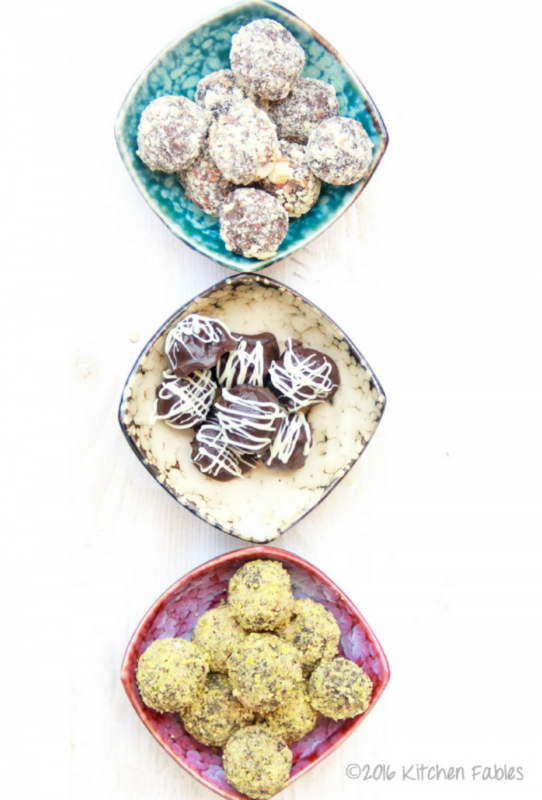 Most of all what I like about chocolate truffles is that with a single base you can make various flavours and there are various options available to roll them in. 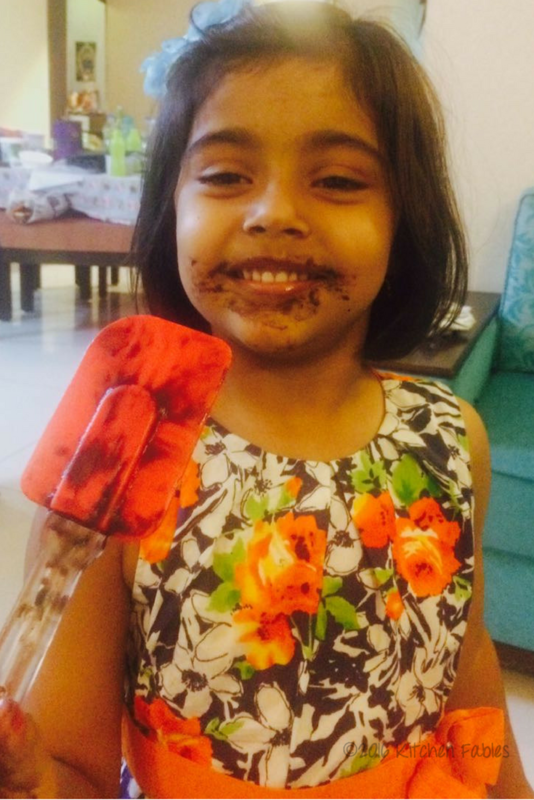 While, It is a joy to work with chocolate , I think more than me my daughter loves it. Since, after I finish making the truffles my daughter gets to lick the spatulas. Which is also the only time she thinks of helping me clean up. 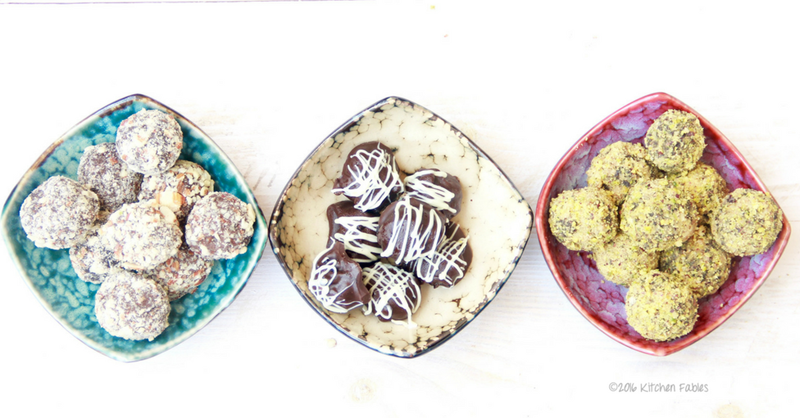 Especially for Christmas, I have used Coffee, Orange and Chilli Flavours to make the truffles. 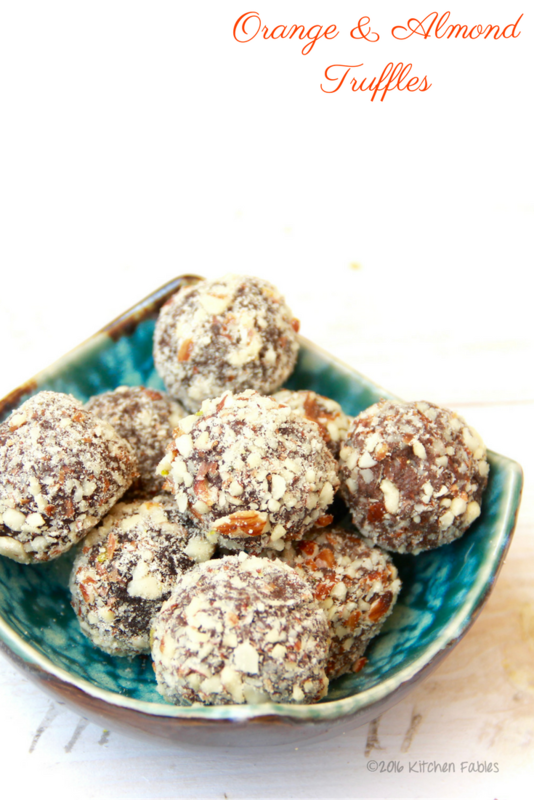 You can make them plain or add other flavours like Bourbon, Brandy , Rum, Cinnamon, Almond or Hazelnut Extract, Mint etc. As you can see there are many many options . 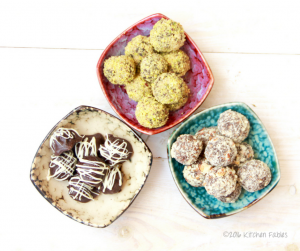 For outer coating you can use Cocoa powder, Confectioners Sugar or icing Sugar, finely chopped walnuts / almond/ Pistachio, desiccated coconut, melted dark , milk or white chocolate.